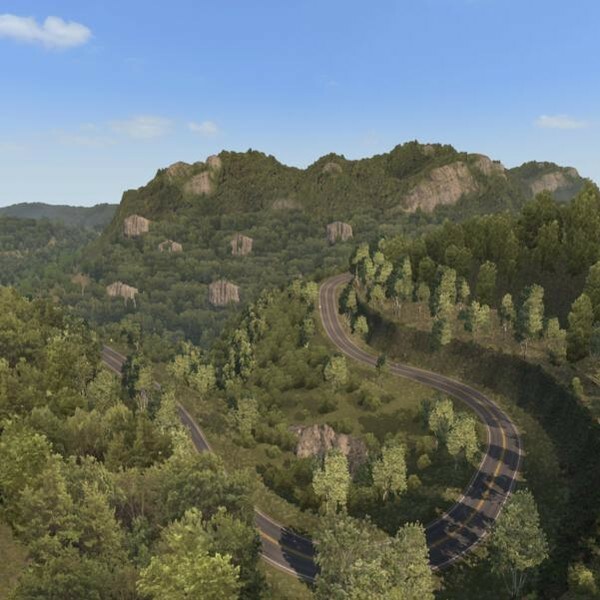 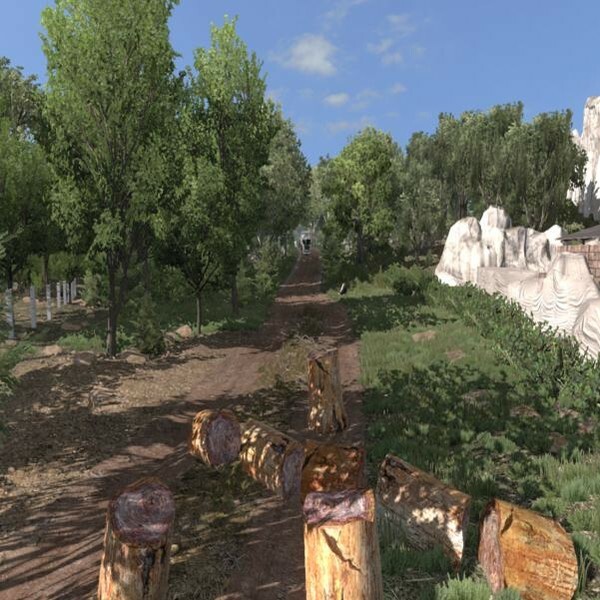 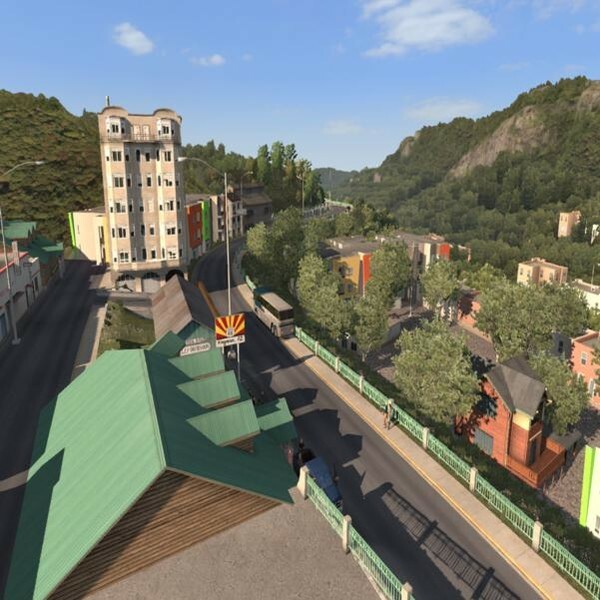 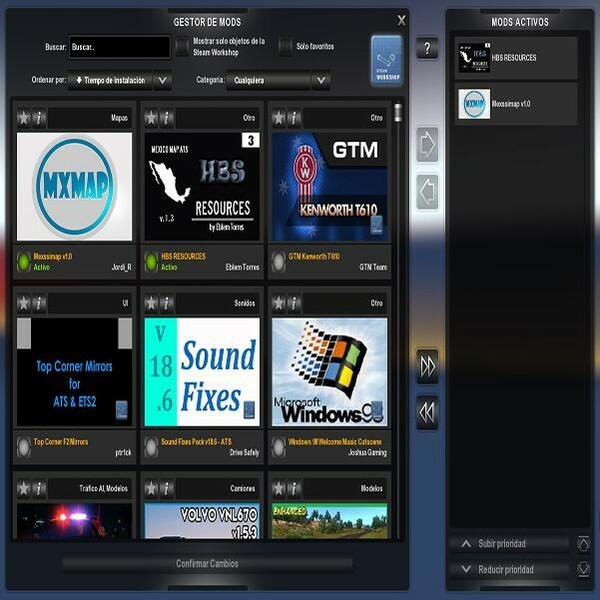 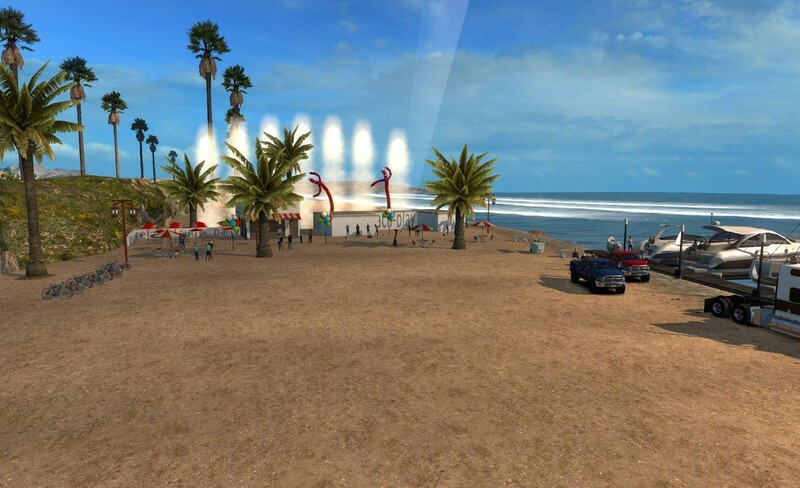 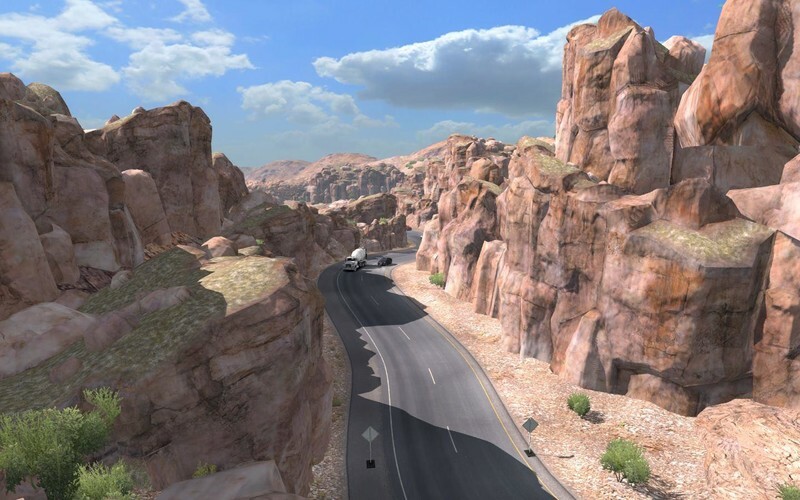 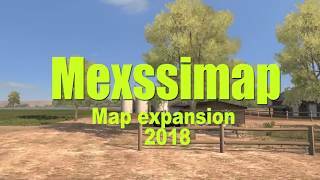 Mexssimap v0.5.1 by Jordi_R (1.29.x) for American Truck Simulator game. 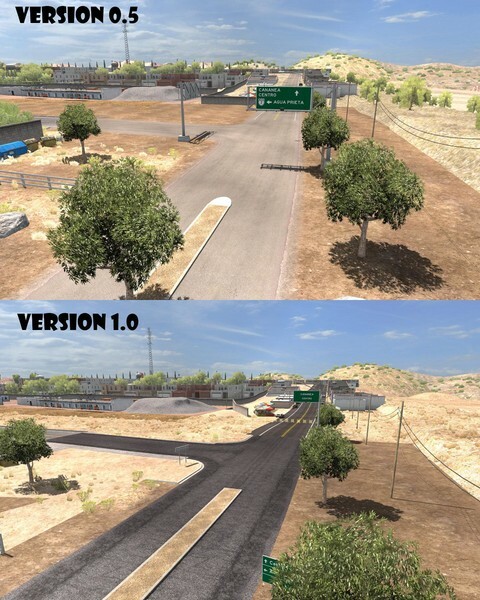 The Project Mexssimap is a mexico map mod for american truck simulator, which expands the base map. 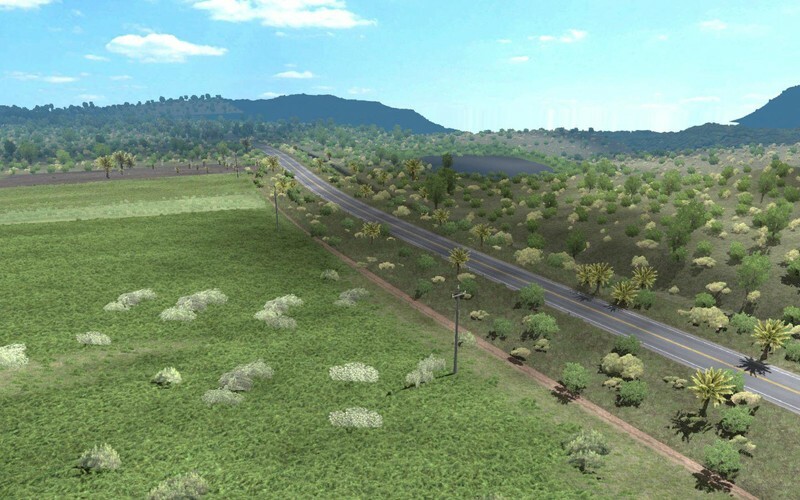 The first stage of the project is to build the border between Mexico and USA. 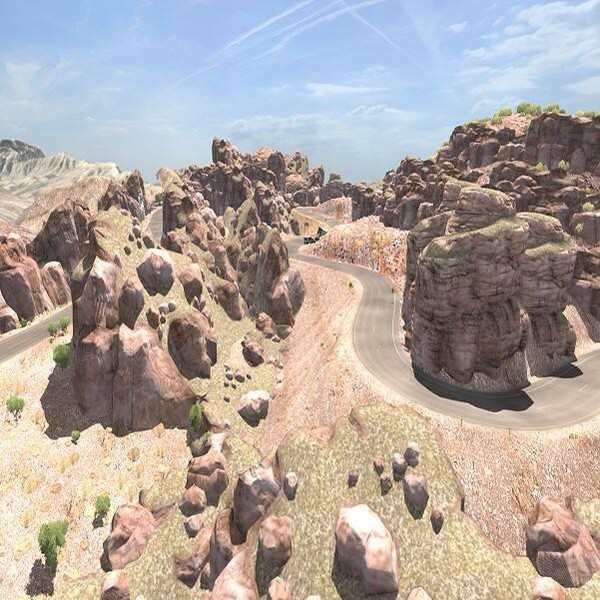 The ubications and names of the farms, mines, truck and car maintenance are not real. 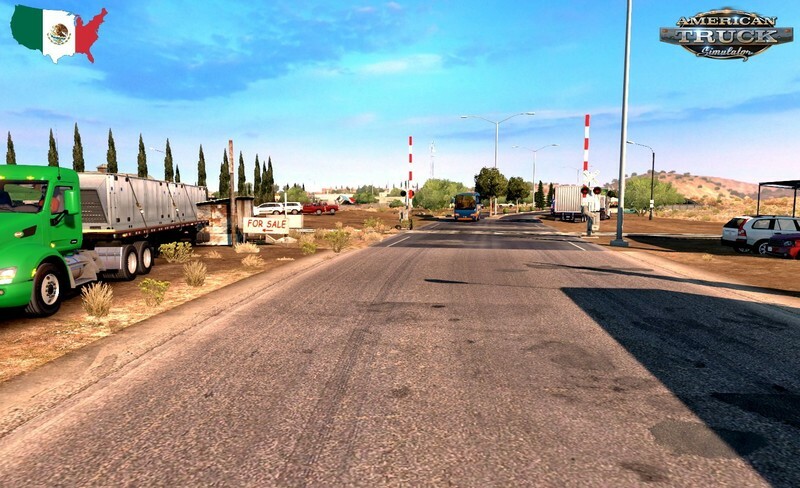 -Baja California : Tijuana and Mexicali. 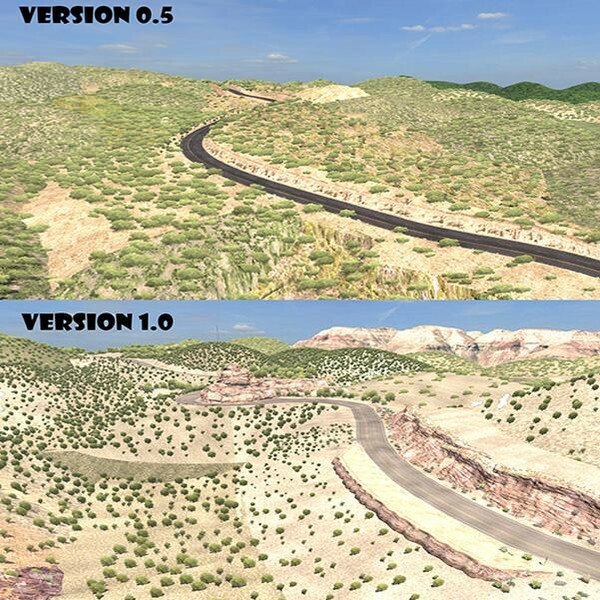 Include the Rumorosa Highway. 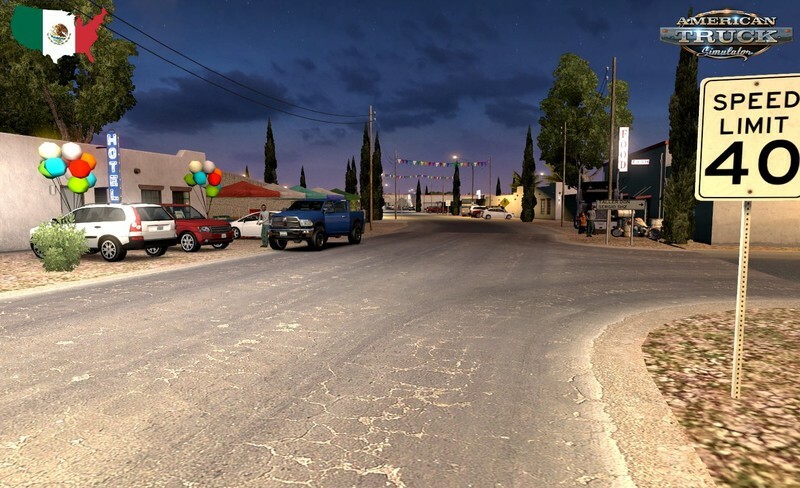 -Chihuahua: Nueva Casas Grandes, Janos and the border between Chihuahua and New Mexico. 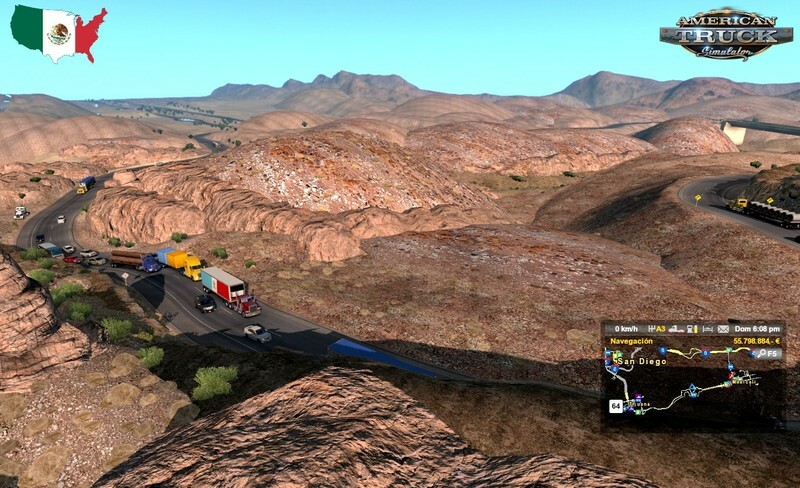 You will have to carry cargo through scenic spots, rivers and waterfalls. 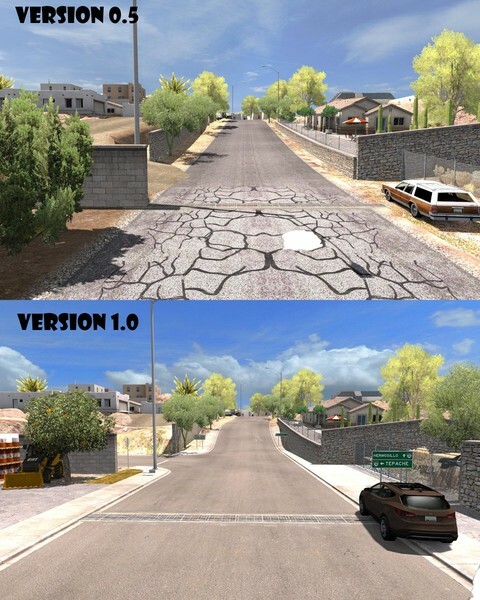 New cities: Yecora, Sonora and Ciudad Cuauhtemoc, Chihuahua. New highways: Mexican Federal Highway 16 (junction Sahuaripa-San Nicolaz(sonora) to ciudad Cuauhtemoc (chihuahua), Road Sahuaripa (Sonora) to Moctezuma(Sonora). 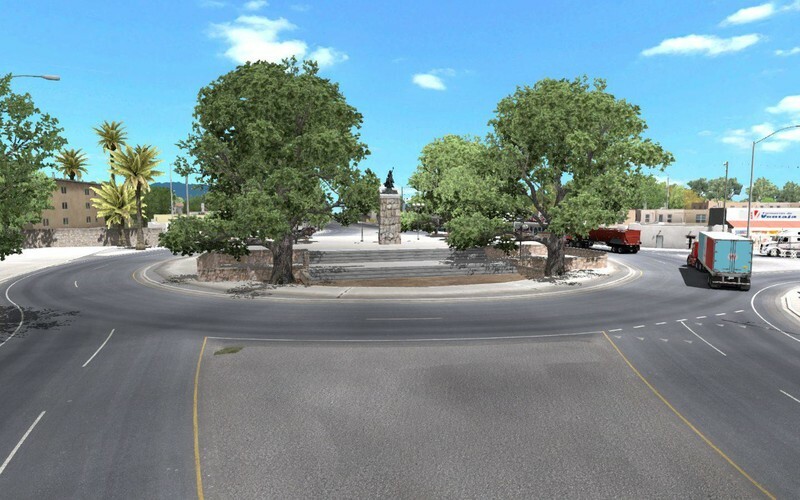 Tijuana, Heroica Nogales, Agua Prieta, Moctezuma cities reworked. 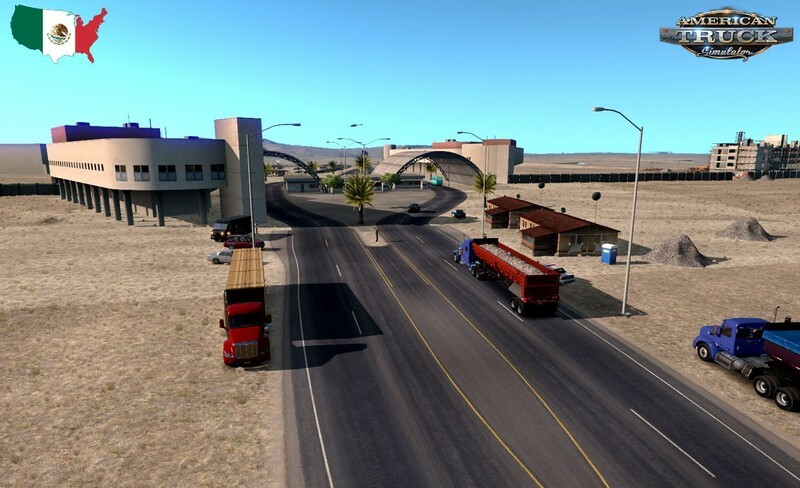 The Project Mexssimap is a mexico map mod for american truck simulator, which expands the base map..
2. 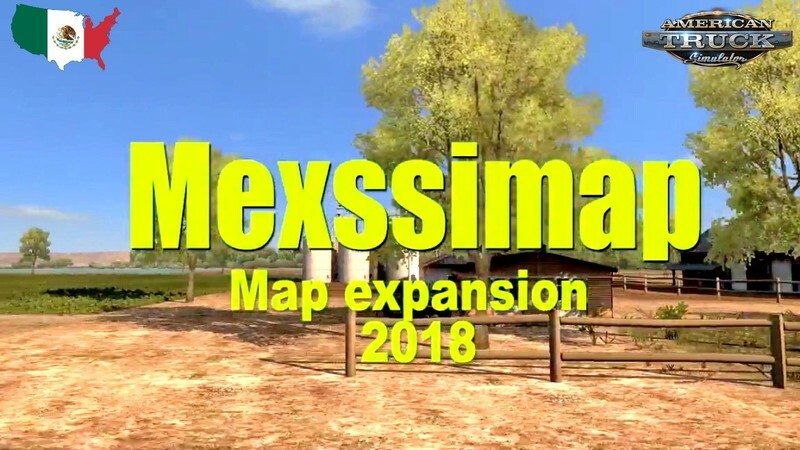 Cut and paste the Mexssimap_v10.scs file and HBS_Resources_v1_3_eblem.zip files into your mod folder directory.